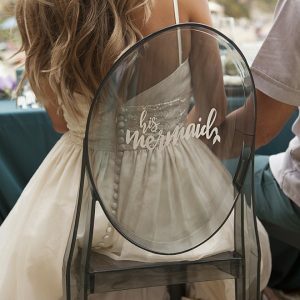 DIY "Brush The Sand From Your Soles" Idea For Beach Weddings! 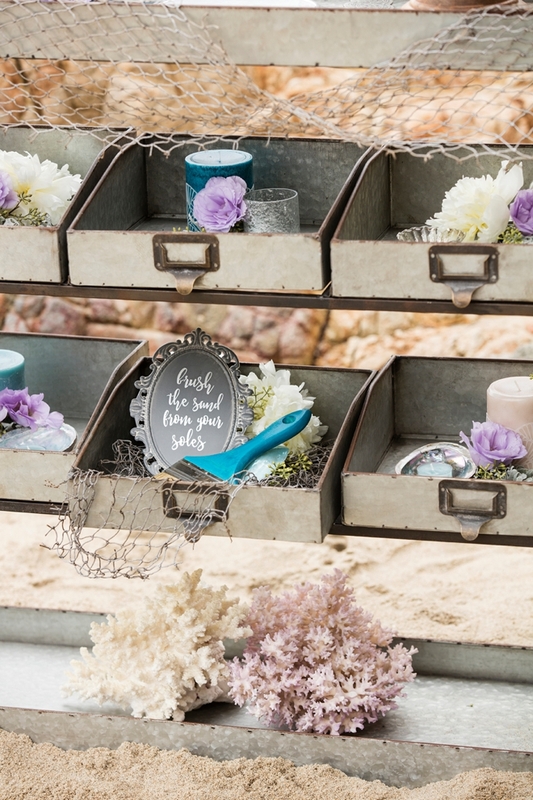 Beach weddings are incredibly romantic and undoubtedly picturesque… but the beach itself can be messy. 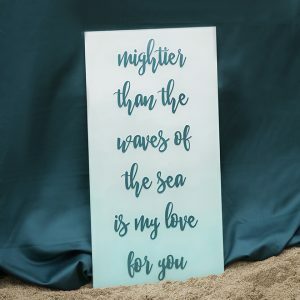 If you, your bridal party and potentially your guests will be walking barefoot in the sand, I cannot express how much of a nicety this idea is. 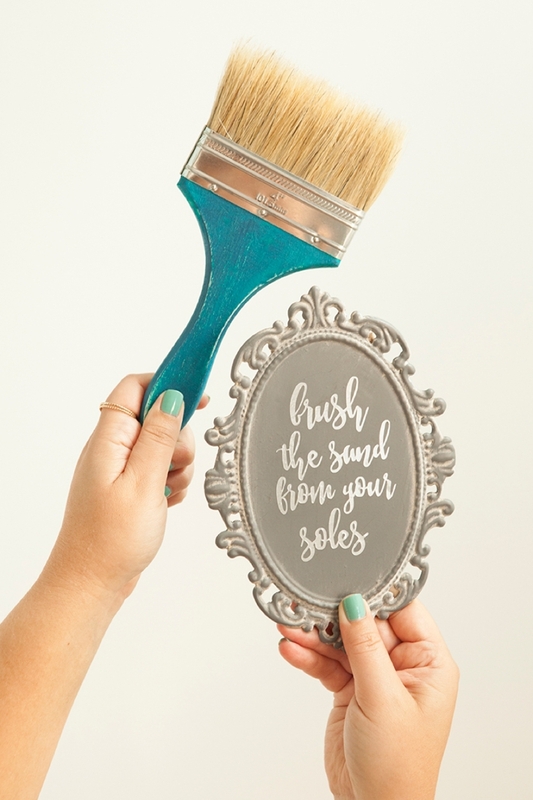 Today I’m sharing how you can make the most adorable DIY Brush The Sand From Your Soles, Sign + Brush… that you and your guests will love! 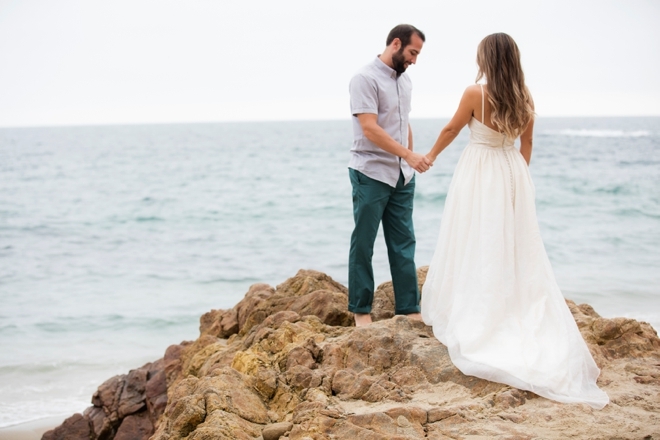 Anytime there is a potential to be barefoot in the sand, there is a potential to get your shoes grimy afterwards, so let’s not let that happen! 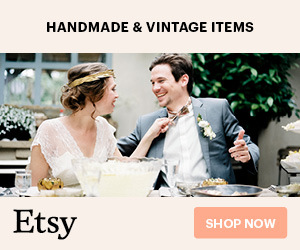 To make this sweet little decor element perfectly match your unique theme, simply pick up an inexpensive paint brush from the hardware store and paint the handle! 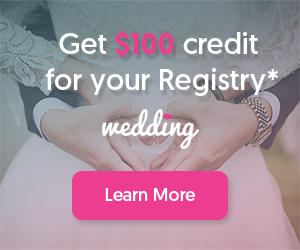 Our free SVG file below! 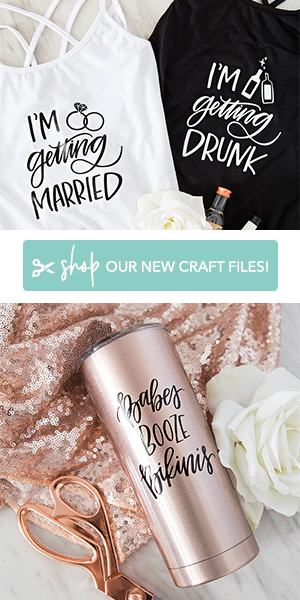 Download our free SVG file at the end of the post and upload it into Cricut Design Space. 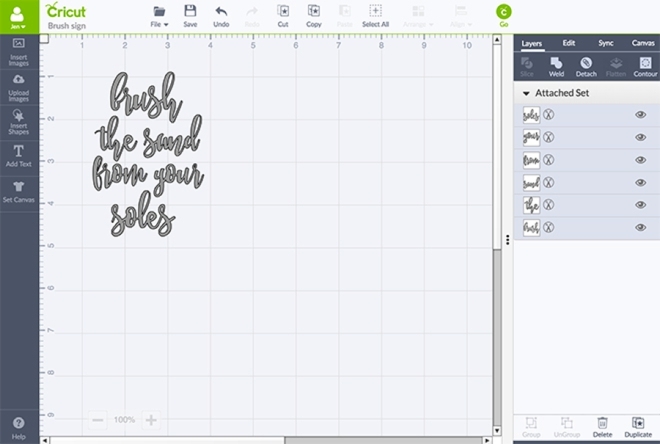 Then drag the file to fit the size of the item that you’re going to place the design on. Make sure all the design elements are “attached” before you cut. 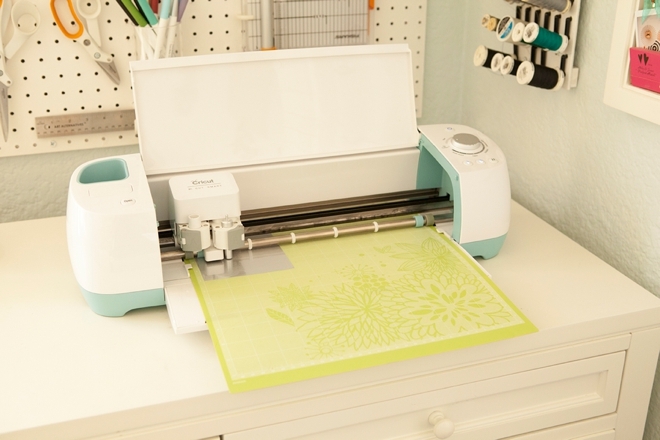 Using a regular mat with your Cricut dial set to “custom” and the custom setting set to “adhesive foil”, press GO and watch the Cricut work it’s magic! 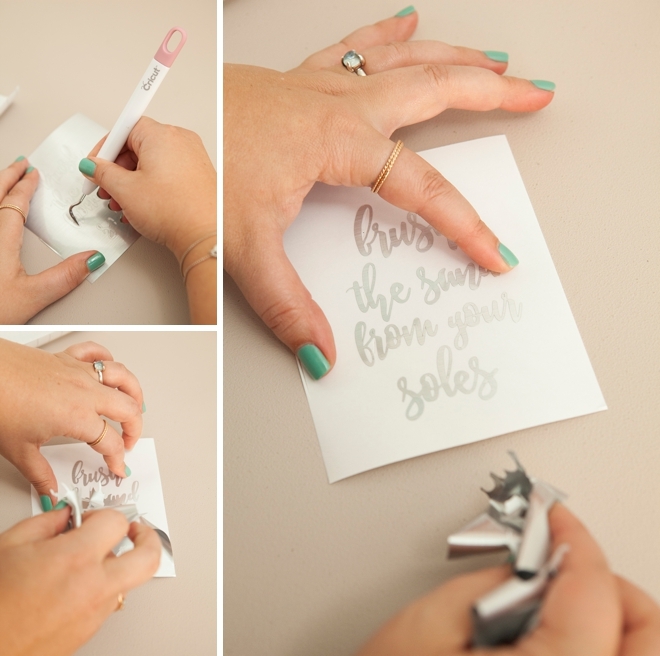 Using the weeding tool, carefully remove all the non-design areas from the adhesive foil. 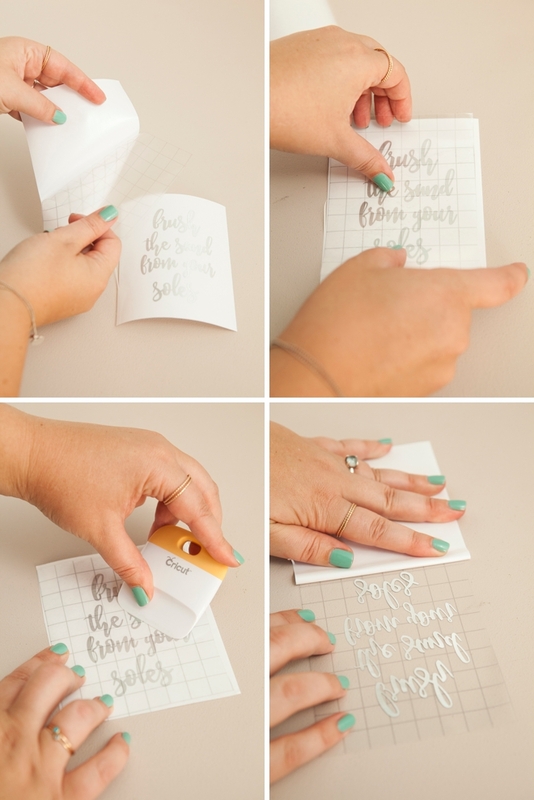 Carefully apply the transfer tape on top of the design and burnish. Then remove the transfer backing, leaving the decal perfectly stuck to the front clear plastic. 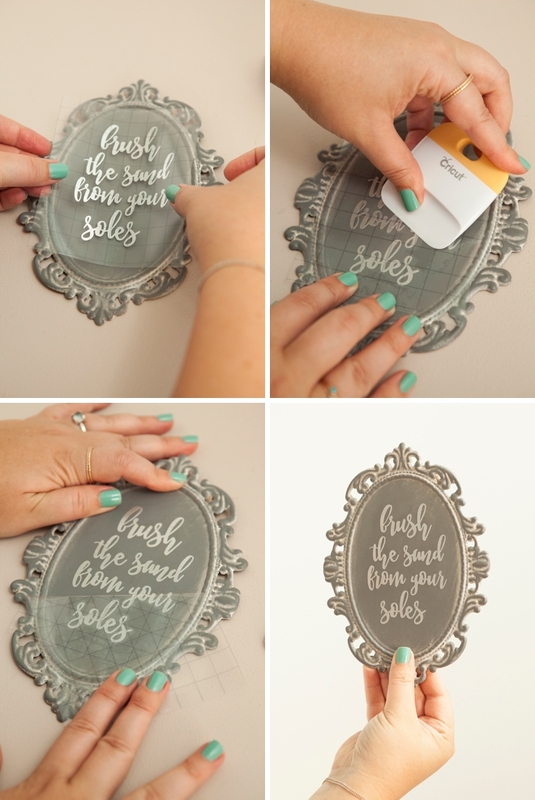 Hover the decal on top of your plaque and once happy with the arrangement, burnish onto the surface. Gently remove the clear transfer tape and you’re done! 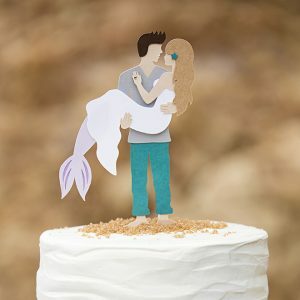 I love how cute and simple this is! 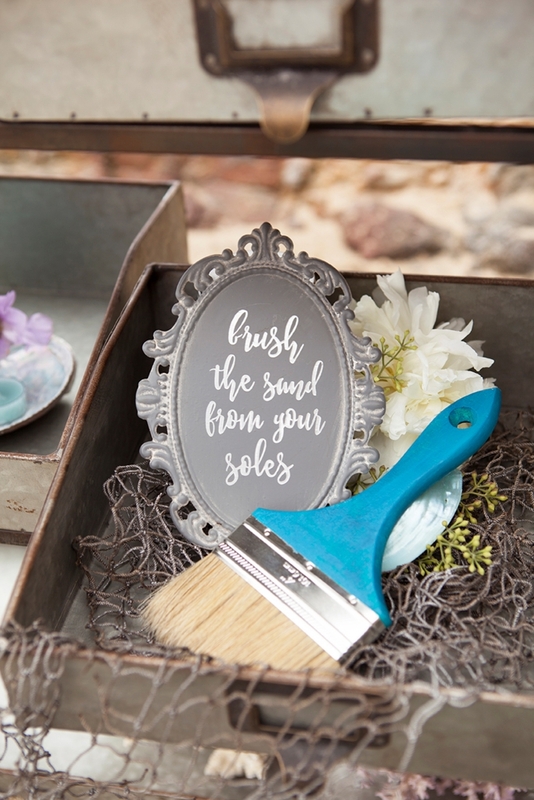 Just a few quick passes with this brush and your guests beachy feet will be sand free… they and their shoes will thank you!